Roanoke Rapids High School students will be taking exams and EOC tests before the Christmas holiday break next school year. 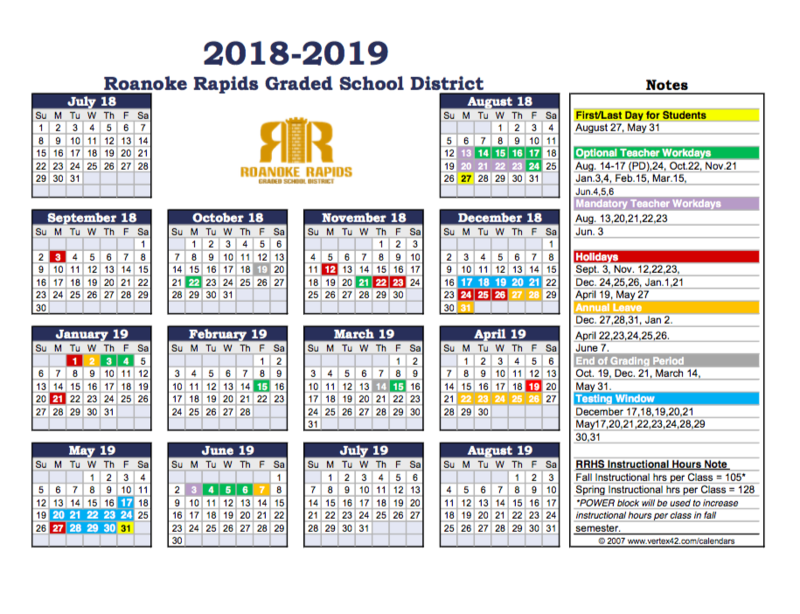 The RRGSD Board of Trustees approved the 2018-19 calendar Tuesday night following several months of discussion. Students will begin class on August 27 and end May 31. 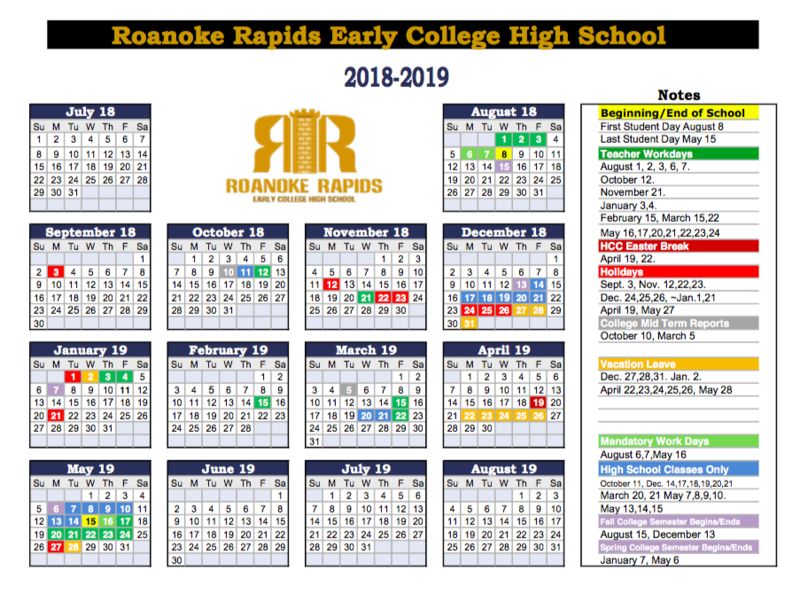 The Roanoke Rapids Early College High School calendar was also adopted. Trustees also approved a comprehensive summer school program to provide remediation for students. New this year would be a Read to Achieve summer reading camp. Students in grades 1-3 who are below proficiency would be given the opportunity to receive additional supports. Trustees also discussed its funding for next school year. Initial numbers show a possible $800,000 budget shortfall based on anticipated funding levels. As a “worst case scenario”, several recommendations are being looked at including the elimination of 5 teaching positions through attrition, the elimination of bus monitors, and a reduction of staff training. Trustee Ed Liverman encouraged the staff to bring back some additional options. “We’ve dipped into our savings and there comes a point you can only dip into savings but so much,” said Cathy Keeter. State statue requires a budget to be presented to the Halifax County Commissioners by May 15.